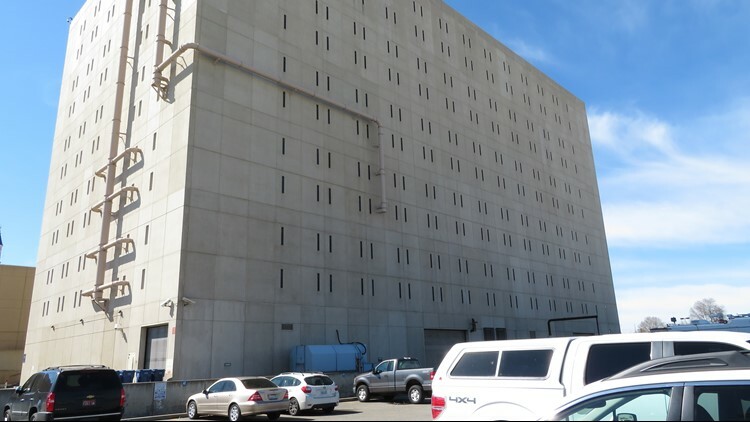 SPOKANE, Wash. — Multiple people told investigators an inmate that died of an overdose in the Spokane County Jail in June 2018 showed signs of illness and asked for help before his death, according to records obtained by KREM through a public records request. Shane Carson, a 31-year-old man who died on June 13, 2018 of a drug overdose in his Spokane County Jail cell, was said to have screamed for help and was showing signs of illness while detoxing for several minutes to an hour before his death, according to people interviewed by detectives and deputies with the Spokane County Sheriff’s Office. Carson’s passing is one of eight deaths in the Spokane County Jail since June 15, 2017. Officials were initially investigating Carson’s death as a murder due to an injury to his forehead, but the focus shifted after an autopsy report showed he died of an overdose of multiple drugs, including amphetamine, methamphetamine and morphine. Officials with the Spokane County Jail said they could not comment on any specifics of this story due to the ongoing investigation. 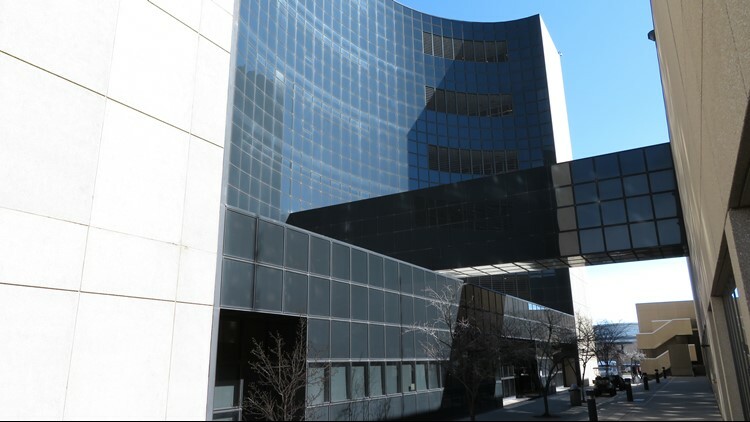 Spokane County spokesman Jared Webley said the county hopes to complete investigations on multiple deaths in the jail in 2018, including Carson’s, by the end of April 2019. The records received by KREM include Carson’s autopsy results and notes from interviews carried out by investigators who spoke to inmates and corrections staff who were present at the time of Carson’s death or who may have information about the circumstances leading to his passing. Shane Carson died in the jail on June 13, 2018. Witnesses told investigators Carson had shown signs of medical distress before his death. Carson was brought into the jail on June 13, 2018, the same day he died, according to interview notes. According to the Washington State Department of Corrections, Carson was in the Spokane County Jail for violating the terms of his probation stemming from a third-degree assault conviction. Carson showed multiple signs of illness and medical distress before his death, including difficulty breathing, profuse sweating and screaming for help, according to interview notes. Trevor Primeau, Carson’s cellmate at the time of his death, told investigators he witnessed Carson breathing irregularly. He said he then got the attention of two corrections officers to inform them that Carson was not doing well. The officers told him that Carson was just “detoxing” and would be fine, according to the records. Primeau requested to be moved to a different cell due to Carson’s condition, but it wasn’t until approximately 10 to 15 minutes after he said he had stopped hearing Carson breathing that corrections officers came to the cell, he told investigators. Anthony Newkirk, whose cell Primeau was moved to, told investigators that Primeau said he tried to tell two corrections officers several times that Carson was having troubles breathing, but that they ignored him. Spokane County Corrections Officer Lesley Le said he was speaking with Primeau while making his “rounds” to check inmates in cells when Primeau asked to be moved, according to investigative notes. When this happened, Le said he looked into the cell to see Carson seated on the bottom bunk, and when Le asked Carson about his condition, he reported that Carson didn’t say much other than he was detoxing, according to the records. Officer Le told investigators that another officer reported that Primeau complained about Carson’s condition. Primeau also told investigators that he noticed the marks on Carson’s face and that they were not there when he arrived. When the investigation was still being treated as a possible murder, Primeau was the main suspect, according to the records. Primeau also said he didn’t see anyone, including inmates or jail staff, assault or physically attack Carson the entire time they shared a cell. Newkirk also told investigators that Primeau had claimed Carson had drugs in his system or in his possession. Le said in his interview with investigators that he saw Carson sweating profusely and shaking before his death. Le also said Carson’s condition was “not to the point where it’s seizure-like, but he’s shaking,” consistent with detoxing shakes. Le passed this along to a nurse, who said they would perform a check. However, when Le went back to move Primeau, he noticed Carson lying face down, causing Le to attempt to shake him for a response when he did not respond to Le calling his name, according to the records. There have been eight deaths since June 2017 in the Spokane County Jail, ranging from suicides to drug overdoses. Carson was soaked in sweat when Le reached him, and the officer called for assistance, according to the records. When other officers reached the cell to help, they rolled over Carson and discovered that his face was purple. Attempts to resuscitate Carson were unsuccessful. Kevin Barker, an inmate on the same floor as Carson at the time, was recorded on a phone call telling his wife that “[Carson] was screaming for help for an hour and they never came and helped him,” according to the records. Barker told his wife “they [paramedics] gave him CPR for 45 minutes and he was f------ dead,” according to a recording reviewed by investigators. He also said he told paramedics what happened and that they “freaked out,” according to investigative records. Barker also told his wife that he was then moved to a different cell and denied phone access for a week after witnessing Carson’s death, according to the records. Carson is one of at least eight people to have died in the Spokane County Jail since June 2017. On Sept. 10, 2018, Spokane County announced that the jail would be joining thirteen other jails across the country in starting an opioid withdrawal program to help inmates struggling with addiction and exhibiting severe withdrawal symptoms. Former jail Director John McGrath resigned earlier this year. He had been the director since 2013, and said after an inmate died by suicide before his resignation that the jail needed expert help on how to prevent suicides among inmates. Do you have a story for our KREM investigators? Reach us at investigators@krem.com.